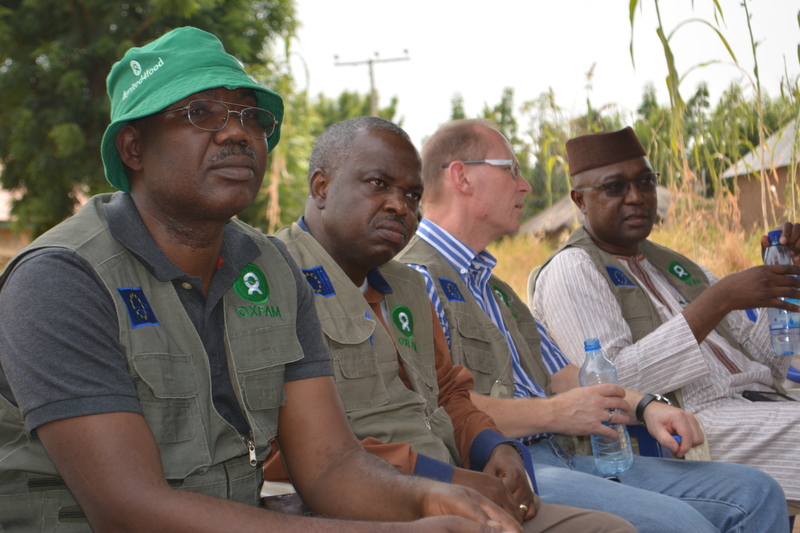 The European Union and Oxfam have commenced the full implementation of a project aimed at fighting hunger; building the resilience of the most vulnerable people and ensuring food security in Adamawa and Kebbi States. The Pro Resilience Action (PRO ACT) project valued at 11Milion Euro which is co-financed by the European Union and Oxfam is being implemented in Seven Local Governments of the two states to improve food productivity while preparing the farmers for shocks that may occur as a result of emergencies – natural or human actions that negatively affect their farming activities. Addressing the communities who are mainly farmers, during an assessment tour of some communities in Guyuk in Adamawa State, Head of Section, Health, Nutrition and Resilience, European Union Delegation (EU), Mr. Jens Hoegel said that Pro Resilience Action is not only to increase the yields and provide more nutritious foods for the population but also to prepare the communities for any eventuality or shocks which can happen due to some factors beyond our direct control, enabling the communities to cope with such situations if they happen base on the savings they have saved in the previous season. This we believe will also bring about development to the communities such as improve in health situation and the education of the children among others. “The project has a definite time line of only four years. What we are aiming at is that the achievements we record during the implementation of the project will be sustained and able to continue after the end of the four years. We ask everyone to ensure that this is going to happen” said Hoegel. 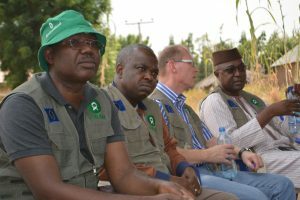 Speaking on the objectives of the project, Oxfam Nigeria Head of Programs, Constant Tchona said that the project aimed at helping farmers grow enough food to feed themselves and also produce surplus to take to the market thereby fighting hunger, ensure food security and improve livelihoods. The Project Manager, European Union, Temitayo Omole said that European Union funding is catalytic which cannot change the world but can definitely demonstrate possibility that things can be done better. According to him, giving that Guyuk is particularly known for agriculture, the commission want to see what it can do to improve the productivity of the people and the quality of foods that people are producing. The Commissioner for Agriculture, Adamawa State, Mr Waziri Ahmadu called for collaboration between the State Government and Oxfam to extend the reach of the project to benefit more people while also advancing the state policy blue print which looks at the agriculture from the value chain perspective and dwell on private sector participation.